Share the post "Ireland has highest proportion of 25-54 year olds with third level education in Europe"
Half of Irish people between the ages of 25 – 54 years old have successfully completed tertiary education, making Ireland the country with the highest proportion of third level-educated in the European Union and the European Economic Area (EEA). Eurostat, the statistical arm of the European Commission published an article containing the information on 24th January to mark the International Day of Education, which acknowledges education’s contribution to peace and development. The figures from the European Statistical Office, relating to the year 2017, show that Cyprus and Finland follow Ireland with the second and third highest proportion in the same demographic at 47 per cent and 46 per cent respectively. Larger EU countries such as France, Poland and Germany have smaller proportions of people who have completed tertiary education, falling in at 39 per cent, 35 per cent and 29 per cent respectively. For 55 – 74 year olds in Ireland, however, the proportion of those who have attained third level education drops to 26 per cent, still above the EU average of 21 per cent. Romania has the lowest proportion of its population in the 25 – 54 year old demographic to have completed tertiary education and is joint last with Malta for those in the 55 – 74 demographic. Among the EU population aged 20 – 24, women tend to have a slightly higher level of educational attainment than men, with an EU average of 85.9 per cent for women and 80.9 per cent for men. This holds true for Ireland, where 95.5 per cent of women in this group are third level-educated, compared to 92.9 per cent of men. Countries such as Slovakia and Romania are the exception, where 90 per cent and 80 per cent of men have attained tertiary education, compared to 87.6 per cent and 79.5 per cent for women. In the same demographic, Switzerland is the only country in the EEA to be above the EU average with 88.9 per cent of all 20 – 24 year olds completing third level education. In Norway, 78.2 per cent of the group reached the same level, while the figure for Iceland was only 64.6 per cent. Among 20 – 24 year olds in 2017, Iceland had a wider gender disparity in educational attainment than many other countries examined. The figures show that 71.7 per cent of women in the Nordic country completed tertiary education, while only 58.5 per cent of men did the same. Turkey had the lowest proportion of young people with a tertiary education, at only 57.2 per cent. Eurostat’s figures, however, show that there is little difference in the level of educational attainment between men and women in the country. Other data collected by Eurostat for 2017 shows that, on average, one in ten (10.7 per cent) young people in the EU are early leavers from education and training, completing at most secondary education. The EU average is slightly more than double the proportion of 18 – 24 year olds in Ireland who leave education early (5.1 per cent). Malta had the highest proportion of early leavers in 2017, at 18.6 per cent, while Croatia had the lowest at 3.1 per cent. The United Kingdom had marginally less than the average EU proportion of early leavers at 10.6 per cent, while Italy and Spain had 14 per cent and 18.3 per cent respectively. 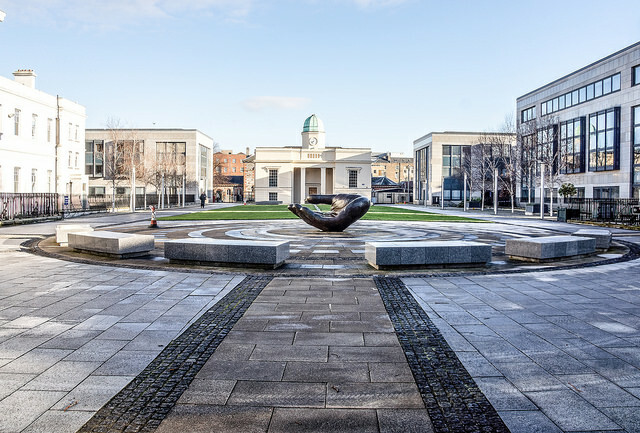 Next articleSuperbowl 53, Societies Week and Battle of the Bands: What’s on this week in UCD?